As the world’s climate continues to undergo gradual changes due to human activity, the number of natural disasters occurring each year continues to grow. Not only are natural disasters becoming more frequent, but they are also becoming increasingly severe, as highlighted by the ongoing recovery of Puerto Rico, which was devastated by a powerful hurricane a little over a year ago. After recognizing that technology could provide a great deal of help for first responders, a group of professionals, humanitarians, and industry leaders created Call For Code. 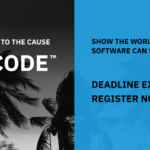 The mission of Call For Code is to create software tools that could prove transformative for the work undertaken by humanitarian and non-profit organizations alike. Each year, the organization puts out a “call” for software engineers, developers, and IT professionals to lend their skills on a volunteer basis to help tackle complex technical problems that could help change the course of humanity. What is the focus for the 2018 Call For Code Global Challenge? As mentioned above, the focus for 2018 is on creating tools that can help to provide assistance both during an in the aftermath of natural disasters. Specifically, this year’s Global Challenge is focused on reducing the disruptive impact of such disasters on human lives, health, and wellbeing. As the first event put on by the Call For Code Global Initiative, this project marks a unique opportunity for artificial intelligence professionals to lend their expertise in a way that can assist the greater good of humanity. How Can AI be used to Respond to Natural Disasters? As with many applications of artificial intelligence, the applications of the technology are only limited by the creativeness and ingenuity of developers. For natural disasters, there are a number of positive impacts that artificial intelligence-based software can have. Namely, the ability to utilize machine learning when attempting to comb through large data sets can assist in informing first responders on what their priorities should be. Additionally, artificial intelligence could be utilized in a proactive manner, assisting humanitarian organizations in predicting which areas will be hardest hit by a particular event. This sort of capability would not only help first responders prepare the necessary equipment and provisions for their response, but could also allow government officials to create effective evacuation plans based on predictive analytics. Why Should People Join this Effort? Those with in-depth knowledge of artificial intelligence are in a unique situation. Not only are they highly skilled, but they are oftentimes extremely driven by the transformative power that artificial intelligence will have in the future. However, developing AI software in a corporate setting can oftentimes have drawbacks, namely the fact that developers may sometimes work on projects that they are not passionate about. If you’re a believer in the positive impact that artificial intelligence will have on humanity, Call For Code presents a great opportunity to help make that change a reality today. While it may be years until AI technology touches the lives of every consumer, first responders and humanitarian organizations do not have the luxury of being able to wait that long. As a result, choosing to answer the Call For Code means that your time and effort could lead to the sort of transformative change you’d like to see in the world in a matter of a few months, as opposed to a few years. What Projects Can Volunteers Work On? Volunteers have the ability to work on any type of project that they want. Thanks to the Call For Code Global Initiative’s team-based, competitive format, you are able to pursue any sort of solution that you deem to be effective and meaningful. This format allows teams the freedom to pursue solutions that they believe to be game-changing, but might have been overlooked in the past. In addition to the freedom to work on any sort of project that you would like, teams are able to leverage numerous datasets provided to them throughout the development process. Data set catalogues from the United Nations and the Red Cross are provided to teams regardless of their project topic, with the hope that they will utilize this data to train any models that are developed in the process. Overall, Call For Code is allowing participants to pursue any solution that the feel would benefit the work of first responders. This is an exciting proposition, and will likely allow for the creation of innovative and groundbreaking solutions along the way. – IMB Watson’s Visual Recognition tools could be utilized to spot cities from space at night, which would allow first responders to have an idea of which areas may or may not have electric power available. – Participants have the opportunity to use Watson Knowledge Studio to model the best possible supply chain — a key, yet often overlooked aspect of natural disaster response overlooked in the past. – Such an application could help humanitarian workers search through large data sets to find the information that is related to the situation they are trying to address. Can Call For Code Help Prevent Loss of Life During Natural Disasters? Yes, that is the hope! The whole idea behind this year’s Global Challenge is that the creation of software that is custom-build for natural disaster response can help to lessen the devastation felt by those affected by natural disasters. This means that your volunteerism could help to save lives. Not only that, but your work could help to lessen the negative impacts of natural disasters, both in terms of lives lost and damages experienced by communities throughout the world. Why Does This Initiative Matter? In short, this initiative matters because it presents developers and artificial intelligence experts a unique opportunity to contribute to a project that might not come across their desk at their day job. Through Call For Code’s competitive, team-based format, anyone can get together with a few of their colleagues and develop a software package that can help change the way that natural disasters are treated by non-profits and humanitarian missions alike. As you can see, the 2018 competition put on by the Call For Code Global Initiative is set to be an impactful one. I encourage you to participate in this great project, as your work can help to change the scope of how natural disasters are approached throughout the world. If you’d like to find out more about Call For Code, we invite you to check out the organization’s website today. Join us as we answer the Call For Code and help to lessen the pain caused by natural disasters around the globe.